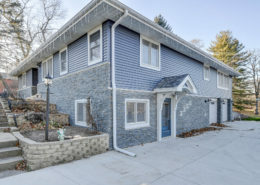 We love helping homeowners in Waukesha & Burlington, Wisconsin design their dream home remodels. 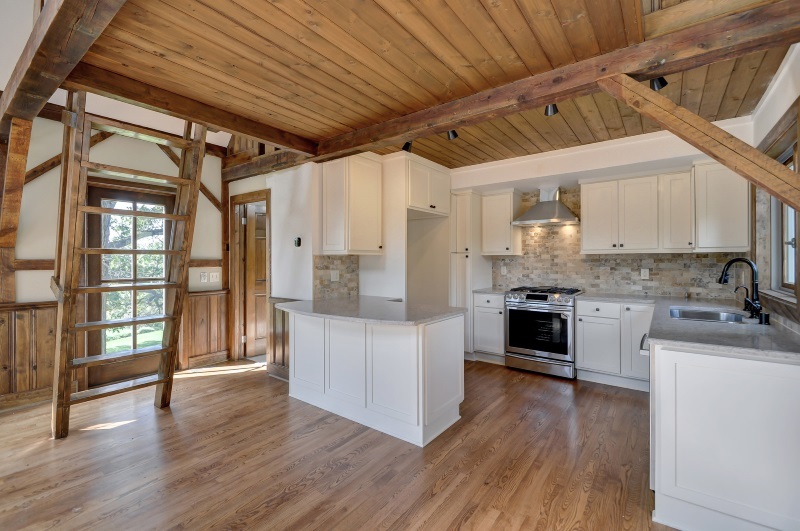 There are many benefits to custom home remodeling too. 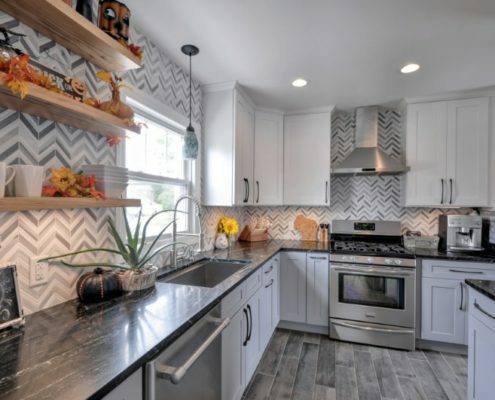 Makeovers that create more functional space – like minor kitchen or bathroom remodels as well as basement and attic conversions – will add value to your home. Luxury remodels drastically transform kitchens, master suites, and living rooms into spaces that meet your lifestyle needs. We’d be happy to sit down with you to discuss remodeling ideas and to get started on an estimate. Our team works hard to provide a personalized remodeling experience. You’ll feel comfortable speaking to your contractors and we’ll actively strive to keep the lines of communication open. This ensures your ideas are properly explored with a professional perspective, you’re aware of any timeline changes, and the end result will meet or exceed your greatest expectations. 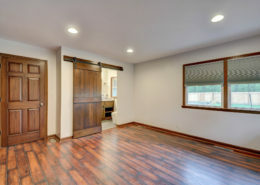 Get started on your home remodel – contact Elite Improvements! 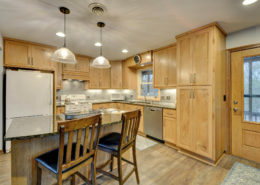 Elite Improvements is the preferred kitchen and bathroom remodeling contractor in Burlington, Wisconsin. We can handle small makeovers and luxury remodels. We want to make your kitchen dreams come true. 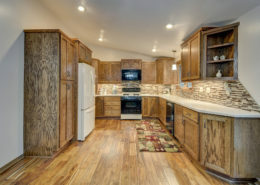 Let’s discuss your kitchen remodeling ideas and start the planning process. We’re excited to help you choose the right flooring, kitchen island, cabinets, counter tops, backsplash tiling, windows, paint, and more. We’ll explore your dining room options too. A custom remodel will solve all of your bathroom woes. We’ll help you update your bathroom fixtures (shower, bathtub, faucets, etc.) and transform the interior styling. 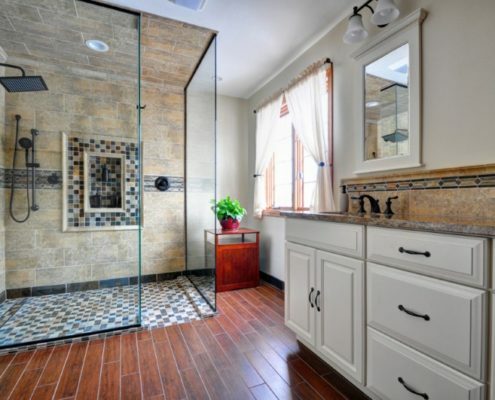 After exploring your options, we’ll decide on the best tiling, flooring, color pallet, vanity, mirrors, and lighting fixtures for your new bathroom. Your living room can be all that you’ve ever dreamed – all you have to do is pick up the phone and give Elite Improvements a call! We’ll help you figure out exactly what you want and then design the most time- and cost-effective construction plan. 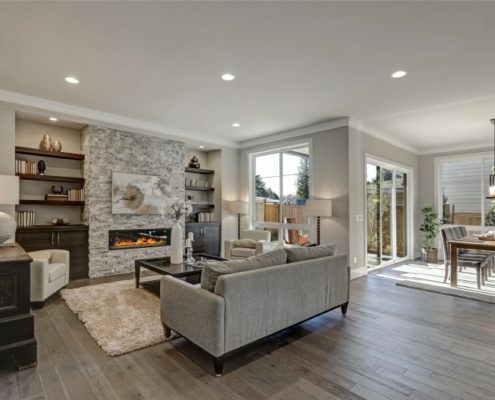 Start imagining your living room with new flooring, custom shelves, bay windows, a unique fan and lighting fixtures – whatever you want, our remodeling team will make it happen. Is your basement unfinished or simply undesirable? 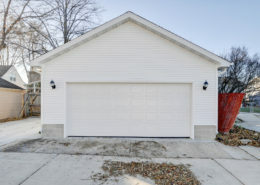 Our Waukesha remodeling contractors want to help! We’ll transform that concrete pit into an area that truly benefits your family; like a casual family room, home office, custom rec room or entertainment area, home bar, or guest bedroom. Unused space like an attic or garage has great remodeling potential.The possibilities are only limited by your imagination and space restrictions. Let’s transform your garage into a home bar, entertainment room, guest bed and bath, custom work space, or soundproof band area. 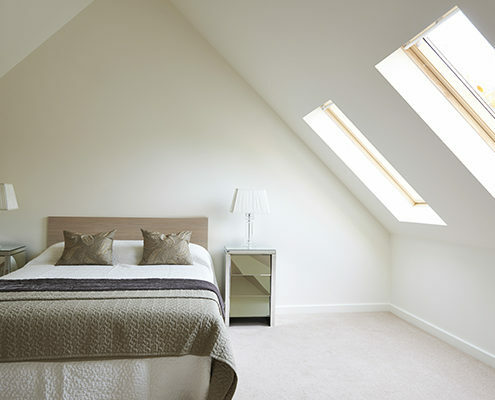 Thinking about an attic remodel instead? Attics are often remodeled into home offices, an extra bedroom, den, recreation room, or craft room. Get started on your remodeling project today; contact us! Read our customer reviews from past remodeling projects, and then contact our Burlington remodeling contractors for an estimate. 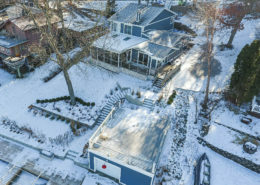 We have happy remodeling customers throughout Burlington, Lake Geneva, Elkhorn, East Troy, Waterford, Mukwonago, Muskego, New Berlin, Waukesha, Milwaukee, & the rest of SE Wisconsin. We’d love to make you our next satisfied customer; call us! During the construction process our team stands behind you 100%. If you have questions, concerns or last minute decision changes our team is here to help. 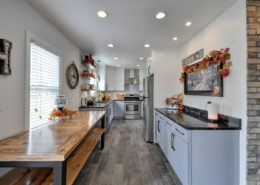 We have found through our experience that most customers underestimate the challenges that are associated with remodeling and construction in general. We also wish we could snap our fingers and your project would be complete with no mess or evidence we were ever here! Unfortunately, that is not a reality, so we really strive to prepare and communicate effectively with our customers before and during the project. Construction can be messy, dusty and downright annoying. We get it, it’s difficult to be “Under Construction”! Our team has put together protocols to help ease and in some cases eliminate these inconveniences. We take great pride in the respect and courtesy we have for our homeowners, their space and belongings during the project. There are so many DIY and remodeling shows on TV right now that can mislead the construction process. 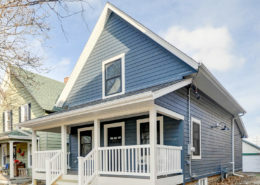 Watching an entire home renovation in 30 minutes can give homeowners the idea that these extensive projects can be completed in a week or so. That is not the case. You are getting a glimpse of many weeks worth of work that went on behind the scenes to make this happen. One positive thing we notice is the unveiling of the unknown. When working on older homes everything can look great on the outside but sometimes when we open walls we find a can of worms. We do our best to inspect the home prior to construction but somethings cannot be seen until we are digging deep into the home. Since “surprises” can happen we are sure to disclose this information before the project begins. We work with our homeowners on solutions that make sense for the longevity of the home and the project budget.